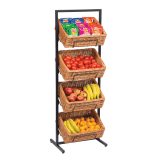 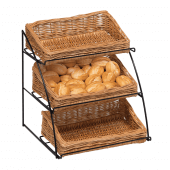 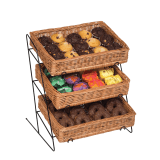 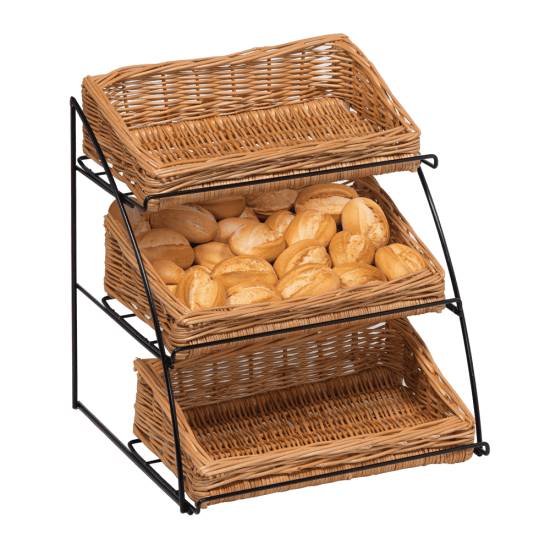 Enhance your rustic display with this table top Three Tier Basket Display. 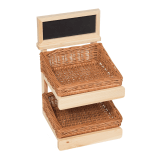 Ideal as a hamper, for holding small confectionery items, gifts or even organic cosmetics, this style of display will help promote your brand whilst showcasing your products. 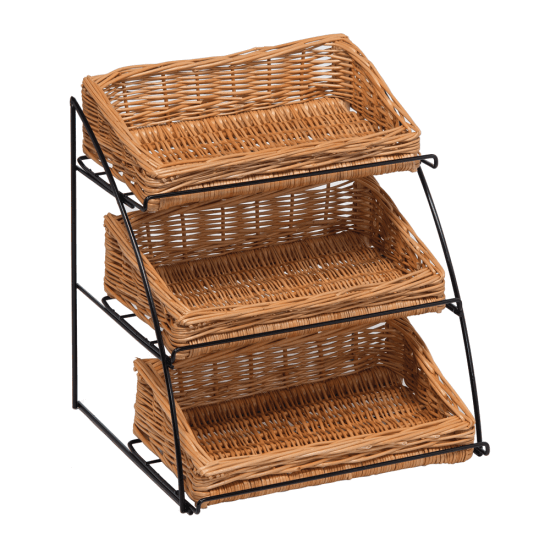 Each of the baskets are manufactured from high quality wicker whilst the frame is made from metal and finished in black to compliment any interior. 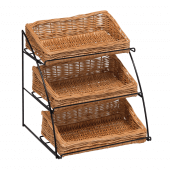 Each basket has an overall size of 35cm W x 10cm H x 20cm D - Perfect for a large selection of items.